Typically everyone navigates the World Wide Web using Internet Explorer, Google Chrome, Safari, FireFox, Opera and more. However, isn't it cool that if you can create your very own web browser that you can customize to your own taste? 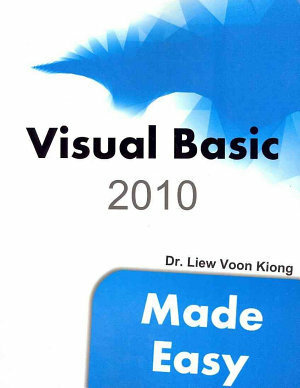 Yes, you can do that in Visual Basic 2010, and pretty easy too. 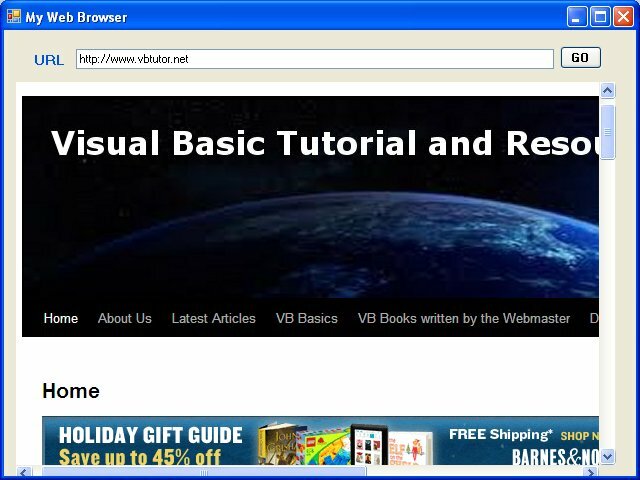 In this lesson, we will show you how to create a simple web browser and get it running in a few minutes. First, start a new project in Visual Basic 2010 and name it with any name you like. Here we use the name Web Browser. Change the name of Form1 to MyWebBrowser and the text property to Web Browser and set its size property to 640,480. Next, you need to add an engine so that your web browser can connect to the Internet. This engine is the WebBrowser control, located on the Toolbox on the left side. Set its size property to 600,400. Next, drag a text box and place it at the top of the WebBrowser control, this serves as the address bar where the user can enter the URL. Lastly, place a command button beside the text box and label it as Go and change its name to Go as well. Now run the program , type in any URL and click the Go button. You will be able to browse any web page you want.